The 10 Best Hiking Trails in Mississippi! You might not immediately think of hiking when you think about Mississippi, but the Magnolia State is full of surprises. In Mississippi, you'll find a variety of beautiful places to take a hike through nature. Most of the trails are listed as easy to moderate, so just about anyone can enjoy the scenic views these trails have to offer. Here are our 10 favorite hiking trails in the state. Located in the southwest corner of Mississippi, at Clark's Creek you'll find both primitive and enhanced trails. Give yourself about two hours for the enhanced trail and anywhere from three to five hours for the primitive. Hikers love the dramatic scenery here, from moss-covered boulders and steep drop-offs to a variety of waterfalls. If you get tired, take a rest at one of the observation decks and enjoy the view! This two-mile loop near the Gulf Coast offers forest views as well as a trek through two different bayous. This easy hike is sure to be fun for the whole family! Enjoy sights of regional wildlife including coastal plants and sea birds. Make sure to pick up a trail guide at the William M. Colmer Visitors Center! Tishomingo State Park has been beautifully preserved, making it a great spot to enjoy nature. According to the Mississippi Department of Wildlife, Fisheries, and Parks (MDWFP), evidence has been found that early Paleo Indians lived in the area nearly 10,000 years ago. Ancient rock formations covered in moss and deep crevices filled with unique ferns spark the imagination, making it easy to imagine what life was like back then. Try the Outcroppings Trail, a two-mile loop that begins and ends at the breathtaking Swinging Bridge. Also in the De Soto National Forest, this 22-mile trail is ideal for hikers who like to see a changing landscape along the trail. At Tuxachanie you'll hike across boardwalks and bridges built to cross a variety of wetlands for the first five miles. You'll then transition to dry woods, following an abandoned logging railroad. Be sure to check which times of year are best to see the varied wildflowers. If you love hiking near water, this 2.5-mile trail at Wall Doxey State Park is perfect for you. The trail circles Spring Lake, offering hikers stunning views of sunlight on the water, birds diving, fish jumping, and the varied plants that grow near water. Bring a picnic lunch and enjoy a day by the lake! The Coldwater River Hiking Trail, located near Arkabutla Lake in Coldwater, Mississippi, is maintained by the U.S. Army Corps of Engineers. Enjoy the protected plants and wildlife of a unique river bottom as you circle the two, three, and five mile loops of the trail. According to the Army Corps of Engineers, some of the trees in the area are 125 years old! 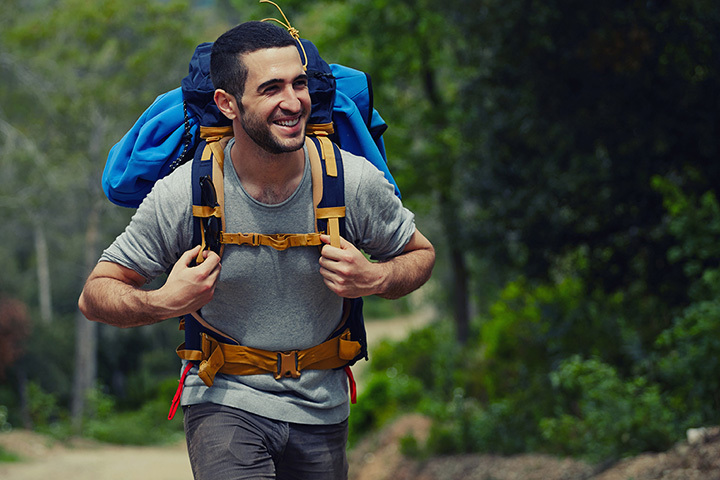 The Noxubee Trail System offers a number of different hiking trails with varied difficulty levels and lengths, making this destination ideal for anyone. Each section of the park has a nature-themed name, including Woodpecker Trail, Beaver Dam Trail, the Trail of Big Trees, and Goose Overlook—a 30-foot-high observation platform where visitors can take in views of the park. Enid Lake is a favorite of locals in northwest Mississippi, and there are a number of trails available for hiking and horseback riding. Take the time to visit the 20-mile Spyglass Hill Trail and you'll find Ford's Well, which according to the U.S. Army Corps of Engineers has been presented just as it was in the early 1900s. Other amenities along the trail include a gazebo, rest stops, and a shower house. This state park is located just outside of Mississippi’s capitol city, which according to MDWFP, was originally named LeFleur’s Bluff. The nature trail at LeFleur’s Bluff State Park is listed as moderate difficulty and is 2.5 miles one way. This trail begins in a pine forest. As it descends towards the Pearl River, hikers will get to experience Mississippi swamp land. View more Mississippi Hiking Trails.